The 2017 Huaqiang Smart Network Quality Supplier Award Ceremony was held on May 16th, 2018 at the Shenzhen Shengtingyuan Hotel. 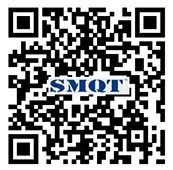 Word of mouth casts brand, brand achievement value, Shenzhen Mingqian Technology Co., Ltd.(SMQT) has been focusing on the security industry, since its inception in 2008 has been uphold the concept of quality first, service winning, for domestic and foreign customers with high quality access control, security products and access control anti-theft program . The company received praise from customers both at home and abroad. The award ceremony for quality suppliers at Huaqiang Wisdom Network Co., Ltd. won the honors of “China Security Industry Enterprise Innovation Award” and “Huaqiang Smart Network Strategic Partner Enterprise”. The awards of the award ceremony are produced through the star rating of the purchaser. They are directly oriented to the customers. Only the good reputation of the customers can cast a good brand of the security suppliers. 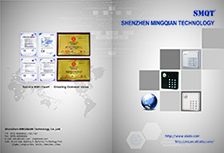 Thanks to the support of new and old customers, Shenzhen Mingqian Technology Co., Ltd.(SMQT) will make persistent efforts to advance the industry and strive to become a new model in the security industry.